Aging gracefully, but aging nonetheless. 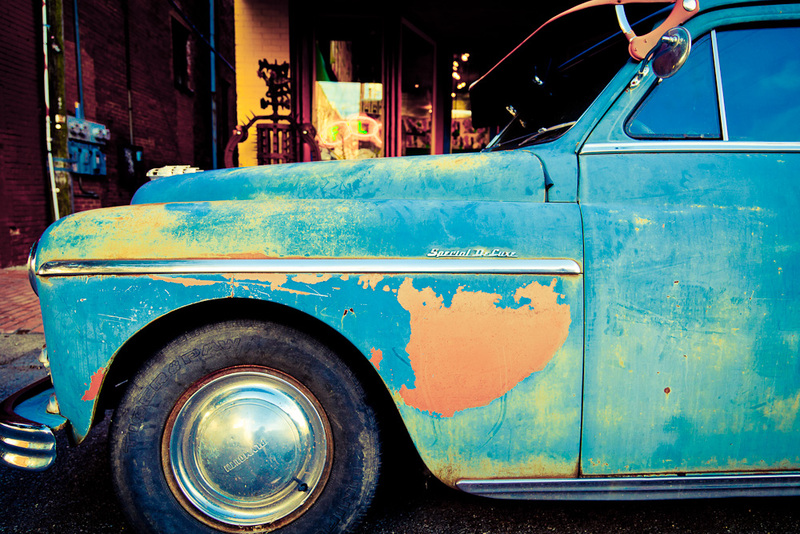 It’s rusting carcass makes for nice photos — and for a good roadside reminder. 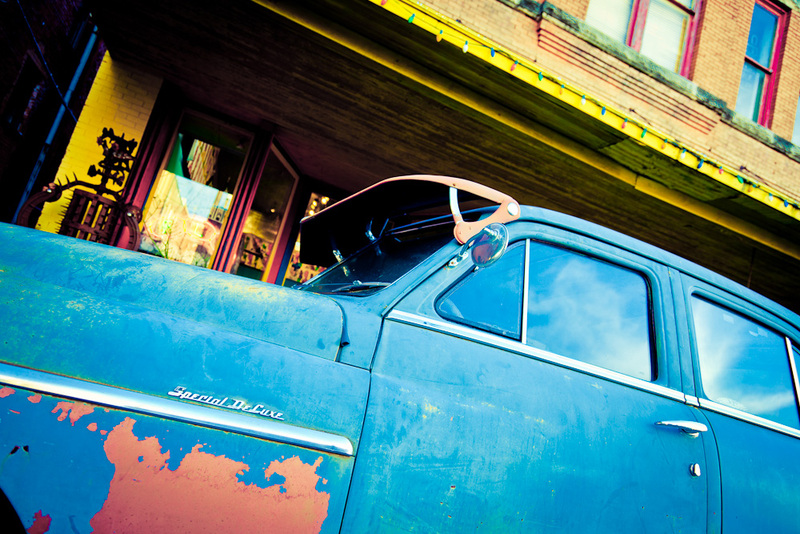 Kicking around in Waxahachie, we spotted this rough ol’ plymouth coupe warming itself in the fall sun. Talk about aging gracefully. 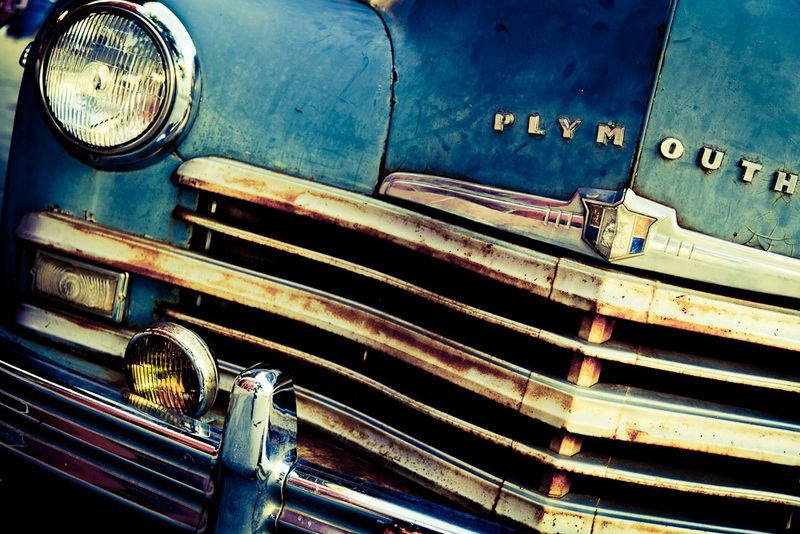 This old Plymouth “Super De Luxe” was someone’s pride and joy. Maybe he sweated and saved for it. The wheel felt good in his hands as he looked over that shiny, chrome-covered hood and drove than new Plymouth coupe off the lot. The rumble of the engine when he stepped on the gas must have been satisfying. 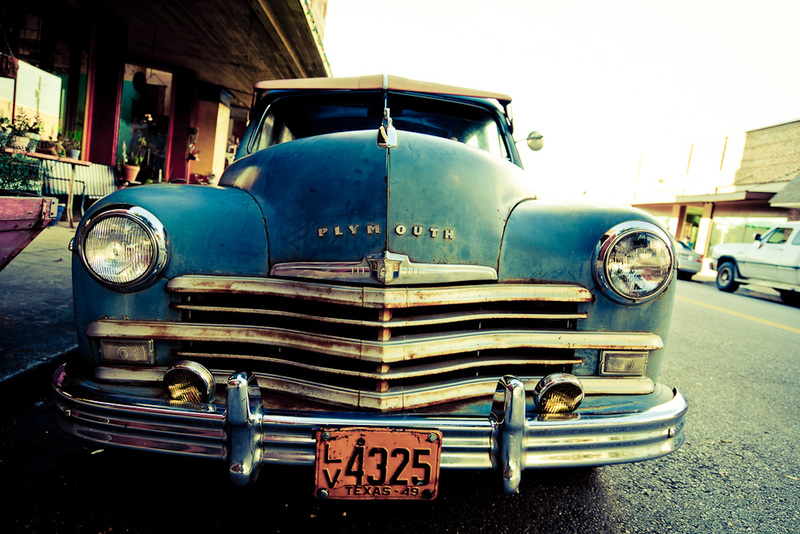 Now that pride and joy is a corroding curbside curiosity in a small Texas town. Under the scrutiny of time and weather, all that sweat, satisfaction, and care flakes off like the car’s oxidized blue paint. That thin coating pares away to show this aging classic for what it has been all along — a sculpted scrap of metal. Even the most well-built things fall apart. They peel. Fade. Rust. Makes me wonder: What things that seem so desirable and so necessary to me now will end up as someone else’s neglected cast-offs? 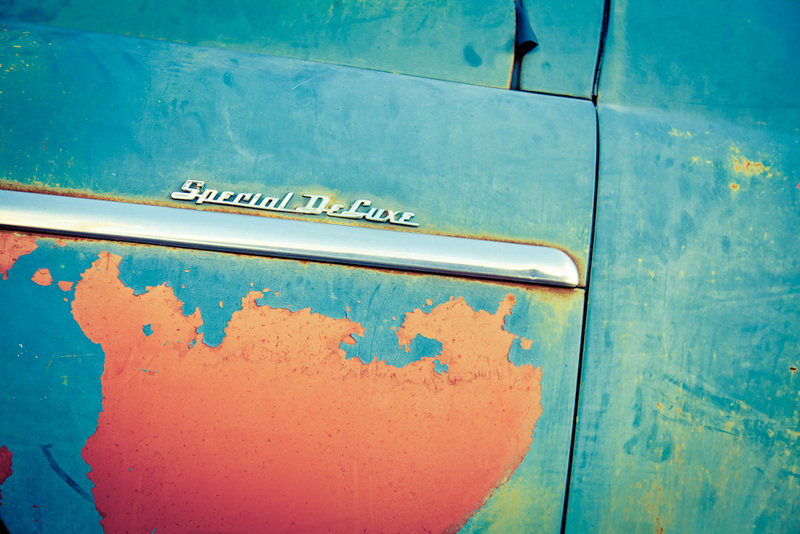 Do I spend too much time appreciating things that are depreciating? Am I sweating and spending to pull together a collection of things that fall apart? 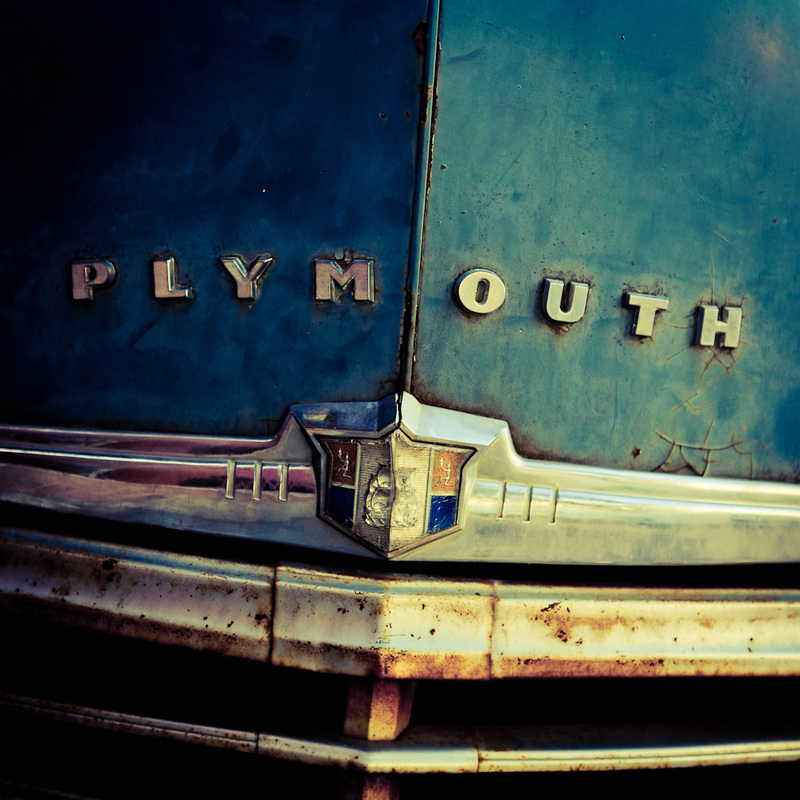 This old Plymouth makes great pictures, but not a great long-term investment. This entry was posted in photography, photos, reflections, travel. Tagged car, classic, photos, plymouth, texas, travel, waxahachie.